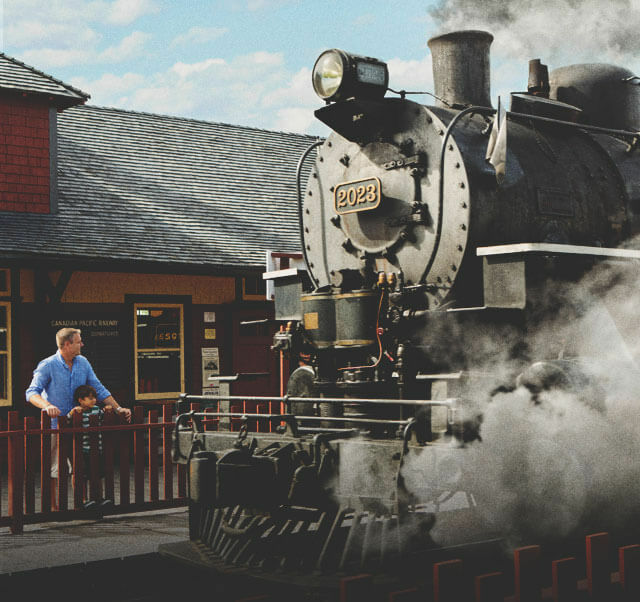 Meet Thomas the Tank Engine and explore the imagination station at Heritage Park. Escape Today at Heritage Park Historical Village. See and feel the past as it comes to life in front of your eyes. This unique Park’s attractions and exhibits span Western Canadian history from the 1860s to 1950s. You will see the vital story of the settlement of the west not only preserved, but presented alive and in great working condition! 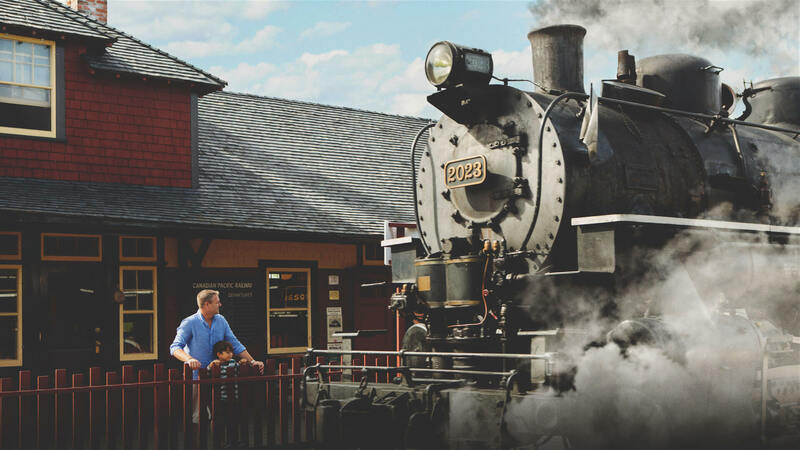 Ride the authentic steam train, make old-fashioned ice cream with the prairie townsfolk, explore our First Nations encampment, enjoy the antique midway, savour fresh baked treats from the Alberta Bakery, enjoy a horse-drawn wagon ride, and set sail on Calgary’s only paddlewheeler. With over 180 exhibits on 127 acres of land, Canada’s largest living history museum offers an authentic experience from four key periods: the 1860s fur trading era and First Nations encampment, 1880s rustic pre-railway settlement, a bustling 1910 prairie railroad town and the 1930s -50s in Gasoline Alley Museum and Heritage Town Square As an accredited museum, Heritage Park is proud to preserve and share history in a way that lets visitors experience it with all five senses. Costumed interpreters add another dimension to the immersive historical experience and bring our attractions and exhibits to life. Browse the shops on main street, take in old-time amusement rides, stop for lunch at the Wainwright Hotel. There’s town life, farm life, a school house and a hospital. Ride a train, a paddlewheel boat and a horse-drawn wagon. Dine in style on a moving train that will take you back in time, Tuesdays during the summer.